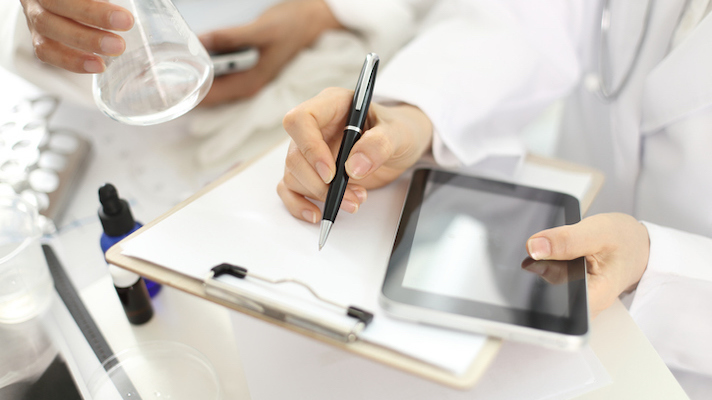 A look at the clinical trial space and its many inefficiencies in need of disruption. The clinical trial market is enormous. To understand its scale, consider that ClinicalTrials.gov currently lists more than 280,000 active clinical research studies, up from just 2,119 active studies in the year 2000. Even with this massive increase in the number of clinical trials between 2000 and 2018, research indicates the market’s value will keep growing to reach $65.2 billion by 2025. Despite the impressive size of the clinical trial market, the industry faces several challenges. The primary challenge with undertaking a clinical trial is cost. A report from the U.S. Department of Health and Human Services estimates that the total cost across Phases I, II, III, and IV of a clinical trial can range from $44 million to $115.3 million, depending on the drug’s therapeutic area. Moreover, fewer than one in 10 drugs that enter clinical trials make it to market. While a drug that successfully makes it from R&D to FDA approval can add hundreds of millions or billions to a pharmaceutical company’s market cap, the cost of even just one failed drug candidate can lead to significant problems. One only needs to look at the effects of failed clinical studies on companies like Axovant, Flex Pharma, or Novartis to understand the issues failed clinical trials and drugs can create. Considering the high stakes of clinical trials, we will use this article to dissect the problems in each part of the clinical study process and give some examples of the startups that are using technology to fix them. Pharma companies understand that most of their clinical trials will fail. At the same time, they recognize that many of their clinical studies fail not because of issues with drug efficacy, but because of unforced errors. According to research published by Clinical Leader, only half of the drugs rejected by the FDA fail due to efficacy problems. Many of the other 50 percent of rejected drugs fail because they don’t promptly follow the FDA’s feedback, don’t file forms on time, or don’t correctly understand the timing of crucial parts of the FDA’s review. This fact means that pharma companies can increase their clinical trial success rate by improving the design, execution, and administration of their studies. Trials.ai (Disclosure: A Dreamit portfolio company), which uses artificial intelligence to analyze large sets of genomic data, past clinical studies, journal articles, and other forms of research to determine how organizations can best design their studies. Then, the product improves study execution by helping with protocol adherence, patient eligibility computations, patient visit management, site performance, retention statistics, adverse event reporting, and more. Protocols.io, which is an open access repository for scientific methods and protocols. Researchers can upload their protocols and practices, share them in public or private groups, and receive credit for them. Thanks to Protocols.io, clinical trial investigators can easily access proven methods for use in their studies. ProofPilot, which makes it extremely easy for anyone to design a research study or clinical trial. With ProofPilot, investigators create a study using a visual protocol designer, browse and customize study tasks, apply rules to tie tasks together, assign tasks to participants based on the study’s rules, and automatically send reminders to participants. Medaptive Health, which develops an open source product that makes it easy for researchers to use a clinical study protocol to automatically engage participants in an ongoing way using surveys, tasks involving the phone’s sensors, regular updates, personalized insights, and information from wearables. You only need to Google “how many clinical trials struggle to find patients?” to find approximately 47,500,000 results about the woes of recruiting patients for studies. Specifically, journalists and scholars have written articles about how cancer, liver disease, and Alzheimer’s disease trials have had trouble finding patients for their studies. Data on clinical trial recruitment issues paint an even worse picture. In one case, a report indicated that 20 percent of cancer clinical trials fail because of inadequate patient recruitment. Another 2011 report from the Tufts Center for the Study of Drug Development found that two thirds of clinical trial sites don’t meet enrollment requirements for individual trials. The overwhelming number of clinical trial options. A lack of recommendations from providers. The potential time burden for patients. The fact that many patients only seek out clinical trials when all other standard treatment options have failed. Sponsors’ and investigators’ inability to find patients who have unusual conditions. The high costs of finding tens, hundreds, or even thousands of patients for a single trial. Deep 6 AI, which uses artificial intelligence to analyze structured and unstructured clinical data into new clinical data points that can be used to match clinical trial criteria. After this analysis takes place, it’s much easier for investigators to identify and contact patients who will be a good fit for the clinical trials. Clinical Trial Connect, which works with foundations and communities that support people who deal with specific conditions. Some of Clinical Trial Connect’s partners include the Celiac Disease Foundation, the National Brain Tumor Society, and the National Psoriasis Foundation. Partner foundations embed Clinical Trial Connect’s product on their website, which makes it easy for patients to find and express interest in relevant research studies. SubjectWell, which is a patient recruitment marketplace with a unique business model, focused on performance — it only asks customers to pay when patients it recruits randomize into a clinical trial. The company advertises to more than 29 million people every month and screens more than 1,000 patients every day to recruit individuals for these trials. PatientWing, which is an online recruitment platform for clinical trials. With this startup, researchers and sponsors can easily create mobile-friendly, SEO optimized landing pages and embeddable forms that make it simple for patients to move through the application process. Once clinical trial sponsors and investigators have identified potential participants, the challenges don’t necessarily stop there. Most clinical studies have long lists of inclusion and exclusion criteria that patients have to meet and avoid, respectively, to qualify for participation. The process of determining if potential participants meet these criteria is often long and expensive. To see if they qualify for the study, most people have to first sit through a phone screen and then visit the research site for initial tests, which may involve laboratory and imaging diagnostics. In addition to performing these tests, most research sites will collect patients’ medical records. Collecting and analyzing all of this patient information can take a long time. Moreover, the longer it takes to enroll patients in clinical trials, the more expensive these trials end up being for pharma companies. Unfortunately for trial sponsors and investigators, very few startups are addressing these common patient enrollment challenges. A few of the startups mentioned in the previous section like Deep 6 AI, PatientWing, and SubjectWell help with patient enrollment by determining if patients meet inclusion criteria or making it easier to engage with patients as they move through the many steps of the enrollment process. Verified Clinical Trials is another company operating in this space. Its database prevents patients from enrolling in multiple clinical trials and determines if a given patient may lead to protocol violations. DocuSign, a large company that simplifies the process of signing documents online, has life science solutions that make it easier for patients to sign the necessary paperwork to enroll in a trial. While these solutions provide value to clinical trial operators and sponsors, they still don’t help them more quickly determine if patients meet studies’ inclusion and exclusion criteria. This fact means there is still a significant opportunity to develop a product focused on this market. These findings suggest that three of the most significant problems facing clinical trials are patient dropout, patient nonadherence, and a lack of accurate data collection. Several exciting startups have developed digital health, AI, and tech-enabled services products to solve these issues and improve clinical trial retention and accuracy. Patients stop taking the investigational medical product during a clinical trial for a variety of reasons. Sometimes they start to feel better and don’t believe they need to continue taking the medication. Other times they don’t feel any better, think the drug isn’t working, and then stop taking it. Regardless of the specific causes of patient nonadherence during clinical trials, high nonadherence rates lead to significant problems for sponsors and researchers. Studies with lots of patients who don’t adhere to the research protocol have to recruit more people to maintain the right statistical power. Finding these extra patients costs money and can take extended amounts of time. Several startups like Towerview Health, Wellth (Disclosure: Dreamit portfolio companies), Pillsy, MedMinder, AdhereTech, and Medisafe are focused on improving medication adherence with smart pillboxes or pill bottles, virtual pillboxes, or incentives based on behavioral economics. Although it’s unclear which solution works best for improving adherence, each of these companies has the potential to solve this problem. Solutions like emocha Mobile Health (Disclosure: A Dreamit portfolio company) and AiCure also want to improve medication adherence with digital forms of directly observed therapy (DOT), which involves a person or an AI application watching patients take their medication. Research indicates that patients who receive DOT complete treatment 86 to 90 percent of the time versus just 61 percent of the time for self-administered therapies. Brite Health is one company that’s working to reduce clinical trial dropout. The startup’s product analyzes structured and unstructured patient data and then sends personalized messages and notifications to encourage people to continue participating in the trial. It also predicts the patients that are likely to drop out and notifies staff so they can intervene. At this time, few other startups focus on clinical trial dropout prevention and participant engagement. ProofPilot, PatientWing, and Medaptive Health are the only other solutions that appear to offer engagement tools as features. As patient dropout will likely continue to be a significant problem in the foreseeable future, this area has plenty of opportunities for innovation. During a clinical study, some percentage of trial sites will not meet expectations for complete and accurate data collection. Incomplete or inaccurate data can cause significant delays for the completion of a trial. For that reason, it’s important for trial sponsors and clinical research coordinators to have the ability to easily identify research sites that underperform in this area. A tool like Trials.ai provides immediate feedback to clinical research organizers so they can correct data collection obstacles. In addition, patients commonly have to visit investigational sites to provide critical clinical data. The travel required for these visits can add up to many hours over the course of a trial. Due to the burden of this travel, some patients may skip visits or entirely drop out of the study. The Hawthorne Effect created a service to improve clinical trial data collection. The company employs a network of trained healthcare professionals who visit patients in their homes or places of work to collect essential data for clinical trials, which makes it easier for them to participate and leads to more comprehensive data collection. It’s no secret that clinical trials are extremely valuable. After all, they’re the primary way companies and scientists test new interventions to determine their efficacy and safety. It's common knowledge that a variety of problems plague clinical trials. From high costs to patient recruitment and retention, running a successful experiment isn’t easy. Improving this vital part of medical and pharmaceutical research is critical as it means more potentially life-saving drugs and medical devices have the chance to go to market. At the same time, the clinical trial market’s massive size makes it an attractive opportunity for innovation. Even though hundreds of startups have rushed to streamline clinical trial processes, there are still areas in which new companies can contribute.